With the new national funding formula (NFF) anticipated in February 2019 and an updated Ofsted framework to follow, ONECPD’s 4th annual academies conference comes at a pivotal time for the sector. Recently published reports from the Education Policy Institute and the Public Accounts Committee highlight the challenges of a “fragmented and incoherent system”. Benefiting from a new expert advisory board, the Academies and School Leaders conference has been designed to provide a clear understanding of the educational landscape and direction of academisation at both a national and local level. Focusing on practical strategies for improvement, the agenda will cover themes including the formation and growth of MATs, building resilience through good governance and leadership, and potential solutions to finance and funding challenges. Join us for the 4th annual Academies and School Leaders conference to hear the latest developments in policy and examples of best practice from leading organisations across the sector. Benefit from a mix of keynote speakers, panel discussions, practical seminars and networking sessions at an event which aims to offer real insight and value for education leaders. 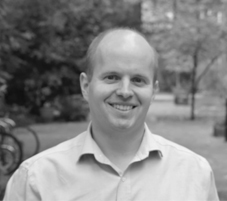 Jon worked in the Department for Education from 2003 to 2016 as a statistician. Most recently he led the Department’s Revenue Funding Analysis Unit managing a broad portfolio of high profile analytical work including for the National Funding Formula; the 2015 Spending Review; and the education white paper Education Excellence Everywhere. Prior to that, Jon was the Department’s lead statistician on academies and school organisation and was instrumental in a number of major reforms including: ? the establishment of Regional Schools Commissioners; ? the Education and Adoption Act; and ? developing and publishing ground breaking measures for assessing the performance of academy chains which will be implemented within the accountability system. Jon has also been responsible for research and statistics in relation to child poverty (including for the Government’s first child poverty strategy) working across Whitehall, with local authorities, lobby groups, and national and international experts. He was the Department’s policy lead on school efficiency and has also worked on school target setting, school accountability, pupil progress, access to higher education, the link between resources and attainment, and was seconded to Ofsted to help secure the delivery of RAISEOnline. Sam is Director of Policy and Information. Sam’s role includes managing and developing the NGA online Guidance Centre – the information hub for governors, quality assuring guidance and advice covering all aspects of school governance and developing resources for members. In addition to this, Sam contributes guidance features to the NGA magazine. 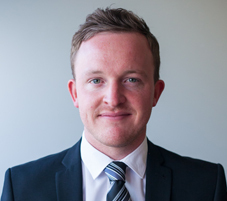 Sam's policy areas include the structure of multi academy trusts and schemes of delegation. Before joining the NGA, Sam worked for a large multi academy trust chain leading an in-house governance team, supporting governors across a national network of academies through training, advice and guidance. Prior to becoming a CEO, Rob had considerable experience of working to ensure rapid transformation of schools in Special Measures. He has previously worked as Principal in five secondary schools across five local authorities over a six-year period. Two of these schools moved from Special Measurers to Good with Outstanding Leadership within one year of intervention as Principal. Subsequently as Executive Principal and Regional CEO he oversaw the rapid improvement of five further secondary academies. Four of these academies are now grading as Ofsted Outstanding in all categories. Rob presents regularly on rapid school improvement, curriculum-led financial planning and has been involved in the training of MAT CEOs. As CEO of Northern Education Trust he is leading on the introduction of the ‘NORTHERN’ Model of School Improvement across the Trust. Dominic Herrington took over the role as Interim National Schools Commissioner on 3rd September 2018. He has also been the Regional Schools Commissioner for South East South London region since 1st July 2014. Dominic has a wide range of experience in the world of education. Before his current appointment, Dominic was Director of the Academies Group at the Department for Education. Earlier in his career he has: Led on a range of policies and programmes at the Department for Education including specialist schools, school improvement, 14 to 19 reform and education legislation; Been on secondment to a management consultancy; Worked at Warwick and Birmingham Universities.Dominic is the Vice Chair of Governors in a primary school in South East London. For over 42 years Mo has worked in schools in the Midlands. She was a long serving deputy head gaining her first Headship in 2000 when she stopped the fight in the yard during the interview process. She and her team led the school out of Special Measures to become an Outstanding school in 2007 in one of the most deprived wards in the country. Mo is a National Leader of Education. She has served on National Working groups and committees and has been a speaker at regional, national and international conferences. She has supported local authorities with school closures and school improvement strategies. She started at Barr Beacon School in 2007 while the school was in a category. She calls herself “Henrietta 8th” as she was the 8th Headteacher at the school in 3 years! She has always acknowledged her good fortune in working with so many amazing staff and pupils. In January 2014, Ofsted designated Barr Beacon School as Outstanding. As Executive Headteacher she was headteacher of Barr Beacon and Etone College and after Etone appointed a substantive Headteacher she moved to Bloxwich Academy, where she led two schools and led the Multi Academy Trust. Each school she has led has improved their outcomes in academic achievement and Ofsted rating. She has led a number of schools out of special measures. She is currently an elected Headteacher member of the Regional School Commissioner’s West Midlands Headteacher Board. She is also commissioned, as a National Leader of Education, by the DfE to support their “Tailored Support Programme”. She is an active member of the Black Country Teaching School Group and Women Leading in Education. In May 2017 she was appointed Chief Executive of Matrix Academy Trust which includes schools in Birmingham, Walsall and Nuneaton. The Trust includes a Teaching School, A SCITT and a National Support School. The progress 8 score for the Trust is above the National average for Trusts. She was recognised for her services to education in 2005 when she was made a Dame in the Queen’s birthday honours list.